One of the common statements made by people in favor of multi-level marketing is that it is just like corporate America. We call MLM a pyramid scheme, and corporate America is a pyramid too! That’s simply not true. 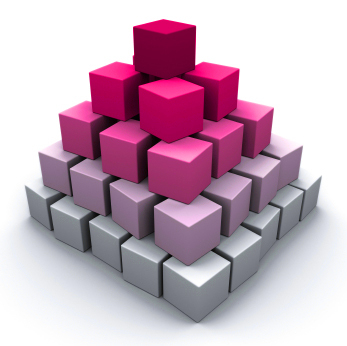 While the SHAPE of the hierarchy of people looks like a pyramid in MLM and in corporate Amercia (one person at the head of the company, a few below, managing several below them, and so on)… that is where the similarities end. Multi-level marketing is PAY TO PLAY. Everyone has to PAY MONEY in order to participate, and almost everyone loses money in MLM. In contrast, no one pays to get hired for a real job. Instead, the company hires the people and pays them every single payday. In corporate America, everyone makes money (although at different rates of pay), while in MLM almost everyone LOSES money. Below is a snippet of an interview I did a few years ago on HuffPost live. The talking points about this issue are still relevant today. A lot was said in that one minute! The interview reinforces the fact that exceptional business and marketing skills do not guarantee success in MLM. What hope does that provide for those whose skills are in areas other than sales/marketing? Wait a minute – I thought the products sold themselves! I was persuaded to listen to the “Choices” tape years ago (amusing) and remember hearing that women don’t want to be “sold” anything, but they like to look pretty (duh). I had no intention of signing up, but if I had the tape would have convinced me not to . There are plenty of options out there for improving appearance. Ulta and Sephora can thank Pink Truth for some of their business. Keep on keepin’ on. And you’ll soon be exhausted and broke. It all ‘begs the question’ Why few if any laws are in place to prevent economic harm to anyone signing on with an MLM? I know there are laws related to franchise businesses which I would tell anyone to avoid if there is a way to create the same type of business on your own simply because in MLM and franchises those who sign up are subject to running their operation by their rules and risk termination for various reasons including ‘at will’ clauses. It’s not too difficult to find those at the top tier of various MLMs whose companies make them vulnerable if the terms and conditions of their contracts are read. They may be ‘riding on a personal gravy train’ but what happens when the company changes the commission structure or goes out of business? Not a happy scenario and some of them have been doing business this way for over 10 years! The main reasons people sign on with MLMs are a) They may like products offered and just want a discount off of something they like. or b) Want to make money ranging from ‘a little pocket money’ to ‘a dream’ with all of the supposed perks and freedoms that yes, are realistically possible in other 1099/ self employment/business ownership opportunities that are legitimate ways to make a living & yes, can be extremely stressful during periods of ‘hard times’ when economic forces beyond the self employed’s/business owner’s control! I’ve worked in “Corporate America” most of my life … I was NEVER required to recruit others to get promoted*, never had to buy the company products, and never had to pay to work for them. Real businesses track their cash flow and profits! Real businesses minimize expenses and inventory! Real businesses talk about what is going wrong, not just what is going right! * Some companies have a 1-time cash finder’s bonus if you recruit someone with a skill they really need, which is usually paid out only after that person successfully completes several months to a year of work. Great point! Do we see Bobbi Brown, Clinique, or even Sephora people getting paid to recruit? No. All they do is sell. And that’s as fair as it can get. The 20-year old girl with no college joins MK. One year later, she’s wearing a flashy suit with a bunch of rhinestone pins and is suddenly an “entrepreneur”, business owner, skin-care expert, makeup expert, business expert, travel expert, tax expert, sales expert, money expert, event expert, marketing expert, fashion expert, psychology expert, personality expert, recruiting expert, etc.